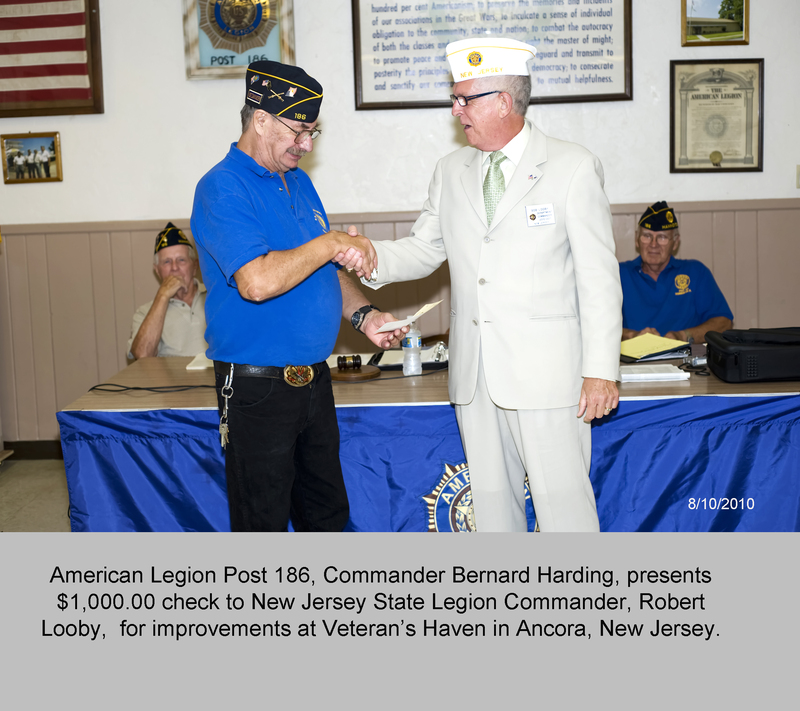 At its recent meeting, American Legion Post 186 presented a sizeable donation to Veterans’ Haven in Ancora, NJ to assist with homeless vets. This entry was posted in American Legion Post 186 and tagged American Legion, donation, homeless vets. Bookmark the permalink.